Even though there are different calendars that are used by various communities around the world, the Gregorian calendar is globally accepted as the primary civil calendar that marks the passage of time. The Gregorian calendar, which is also identified as the Christian or Western calendar, was created by Pope Gregory XIII in 1582 (Doggett, 2012). Before 1582, Europeans used the Julian calendar which was created in 46 BC by Julius Caesar (Doggett, 2012). Pope Gregory introduced the new calendar because miscalculations in the Julian calendar’s solar year interfered with Church’s destined day for the celebration of Easter. The Hindu calendar, which was first developed in the 5th century, is more focused on planetary alignment and the marking of holy Hindu festivals (Hindu Calendar, 2015). There are different variations of the Hindu calendar that are used in India. Different tribes tend to use versions of the Hindu calendar that emphasize on festivals that are important to their communities. For instance, the Malayalam calendar is used by Hindus who speak this language, while the Kannada Panchangam is used by Hindus of the Kannada tribe (Walker, 2014). There are a number of ways in which the Gregorian calendar differs from the Hindu calendar. The Gregorian calendar is based on the earth’s revolution as it circles the sun, while the Hindu calendar is based on the moon’s movement around the earth (Hindu Calendar, 2015). In the Gregorian calendar, each of the 12 months has 30 or 31 days, while the months in the Hindu calendar have just 28 days. The Hindu calendar adds an extra month, known as the Adhik Mas, to the year after every 30 months to cater for the loss of additional days because its years constitute of 28-day months (Hindu Calendar, 2015). Even though both the Gregorian and Hindu calendars have 12 months, their months differ in terms of when the months begin, and the names given to them. Whereas the Gregorian calendar begins on January 1, the first month in the Hindu calendar begins in March 22 (Walker, 2014). The months in the Gregorian calendar are January, February, March, April, May, June, July, August, September, October, November, and December. 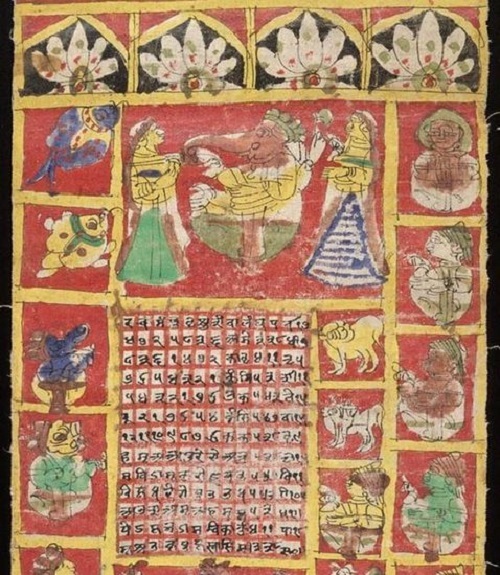 In contrast, the months in the Hindu lunar calendar are Chaitra, Vaisakha, Jyaistha, Asadha, Shravana, Bhadra, Asvina, Kartika, Agrahayana, Pausa, Magha, and Phalguna (Senker, 2007). The Hindu and Gregorian calendars also differ in terms of seasons. The Gregorian calendar has four seasons: summer, spring, winter, and autumn. These seasons are based on weather-related changes that affect nations in the northern hemisphere (Doggett, 2012). The Hindu calendar has six seasons which are also based on weather patterns that impact the nation of India. These seasons are Vasanta Rutu (Spring), Greeshma (Summer), Varsha (Monsoon), Sharad (Autumn), Hemanta (Winter), and Sheshera (the Dewey season) (Senker, 2007). Another difference between the Gregorian and Hindu calendar has to do with the hours of the day. In the Gregorian calendar, each day is divided into 24 hours with 60 minutes in each hour. In the Hindu calendar, the day is divided into 15 muhurtas– each of which have 48 minutes (Senker, 2007). In the Hindu calendar, each week has seven days that are named for Hindu deities. Monday is dedicated to Shiva, while Tuesday is dedicated to Durga, Ganesha and Hanuman. Wednesday is Vithal’s day, Thursday is Vishnu’s day, Friday is Mahalakshmi’s day, Saturday is Shani’s day, and Sunday is the sun god Surya’s day (Senker, 2007). Each day also corresponds with a separate planet. In the Gregorian calendar, the days of the week are named after Roman gods, as well as the sun and moon. The main differences between the Gregorian and Hindu calendars have to do with their basic functions, and understanding of the passage of time. While the Gregorian calendar is based on the movement of the earth around the sun, the Hindu calendar is based on the moon’s movement around the earth. The Hindu calendar is also more focused on the alignment of Hindu religious festivals and signs of the zodiac than the Gregorian calendar is. Joan Nyokabi. "The Difference Between The Hindu Calendar and The Gregorian Calendar." DifferenceBetween.net. September 28, 2017 < http://www.differencebetween.net/miscellaneous/religion-miscellaneous/the-difference-between-the-hindu-calendar-and-the-gregorian-calendar/ >. Hey! At least get an expert to write about Hindu calendar. For your information there is no such thing as a Hindu calendar. Indian national calendar is called Salivahana Saka calendar which begings in 78 CE and the most popular one is called Vikram samvat which began in 56 BCE. There are many others– the oldest starting before 6000 BCE as per Greek historians. Senker, C. (2007). My Hindu Year (A Year of Religious Festivals). New York: Rosen Publishing Group.